When Ashgabat’s elites perceive themselves as vulnerable, violent crackdowns and repression ensues. Economic and political uncertainty in Turkmenistan feed into an insecurity nexus. In turn the government responds to perceived threats to its legitimacy with crackdowns on free speech. On Friday 9 October, RFE/RL hosted a live discussion looking specifically at what’s behind the recent crackdown in Turkmenistan. Moderating the discussion was Merkhat Sharipzhan, senior news editor at RFE/RL. Joining Merkhat was Dr. Luca Anceschi, author of “Turkmenistan’s Foreign Policy: Positive Neutrality and the Consolidation of the Turkmen Regime.” Muhammad Tahir, director of RFE/RL’s Turkmen service was also present; along with Johann Bihr from Reporters Without Borders; and Ruslan Myatiev, head of Alternative News Turkmenistan (ANT), one of the few news outlets operating in the country. Highlighting this, Anceschi has previously tweeted about the “cyclical” nature of Turkmenistan’s authoritarianism, with perceptions of vulnerability among the elite going hand-in-hand with violent crackdowns. Indeed, according to Myatiev, the current leadership is undergoing a crisis of legitimacy, with the majority of respondents in a poll conducted by his organization stated that they preferred life under Niyazov. This leadership crisis is poised to get much worse, with growing political and economic uncertainty pushing the regime into an increasingly defensive position, with disastrous consequences for ordinary citizens. A key element behind the recent crackdowns is the elite’s perceived vulnerability amidst economic crisis. Last month, Eurasianet reported that the government was looking to abolish the welfare component of its authoritarian model by removing the “free supply of electricity, gas and water to the country’s households.” Ironically, President Berdymukhammedov claimed this system was “throwing away our wealth” despite announcing 220 new construction projects amounting to $16 billion. Although, as noted last month, these projects are a crucial mechanism for patronage transmission, and consequently, intra-elite cohesion. Plummeting energy prices have had a disastrous effect on the Turkmen economy, with several economic ministers dismissed as a result. The earliest signs of the crisis occurred in January, with the regime announcing a 19 percent currency devaluation. Since then, Turkmenistan has been growing increasingly dependent on China, with Russia’s Gazprom announcing purchasing cuts. The crisis in neighboring Afghanistan, and the ongoing sanctions on Iran are also halting Turkmenistan’s main exporting options, resulting in what Anceschi calls an “export crisis.” With gas accounting for over 90 percent of the state’s revenues, and acting as a “geopolitical driver,” any restrictions of the regime’s political bargaining power are an existential threat to the leadership. This instability on the border is largely political, resulting from the regime’s Doctrine of Positive Neutrality. 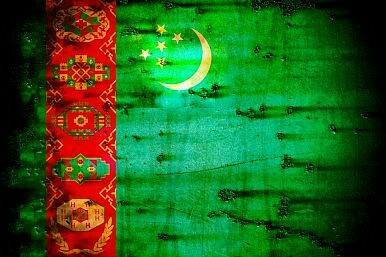 As a result, the regime has been uncooperative with its immediate neighbors, and according to Anceschi, “is highly unlikely to request help from either NATO, or Russia.” The main strategy so far has been to court ethnic Turkmen militias in Afghanistan to act as a buffer against the Taliban, however, this strategy has largely failed, with Ashgabat alienating these potential allies. The end result has been a return to isolationism, with the construction of walls and barricades along the border, rather than active diplomacy. This insecurity nexus will continue to agitate Turkmenistan’s elites. Unfortunately, basic human rights will continue to be dismantled. *Correction: An earlier version of this article erred in stating that Nepeskuliev had been released, as far as we have been informed he remains in jail. Worries about northern Kazakhstan's ethnic Russians, rights in Turkmenistan, and other recommended reads.